If you have multiple offices you can register them as different subsidiaries. This can be used for billing purposes. If your company has multiple subsidiaries in different countries, you can turn on the Subsidiaries Addon. This enables you to have multiple billing addresses which you can use on Invoices and Proposals. Go to Settings > Addons and turn on Subsidiaries. 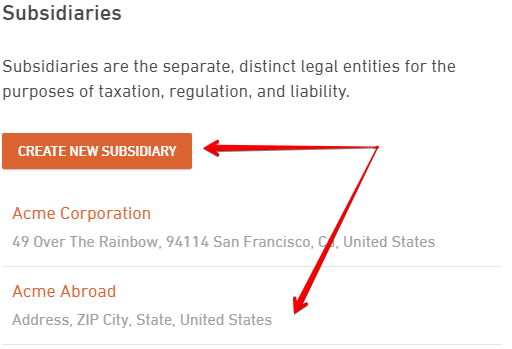 Once you have activated Subsidiaries, a new button will be added under Settings > Company info - Create new subsidiary. Create your new subsidiary and it will appear as displayed below. Now you need to create a new Document type that will be linked to a specific subsidiary. Go to Settings > Documents and click on Add document type. Select the subsidiary for which you want to create a new document type (in this case - Invoice) and fill out the required information. Go to any project and create your invoice by clicking on the Add new Invoice button. 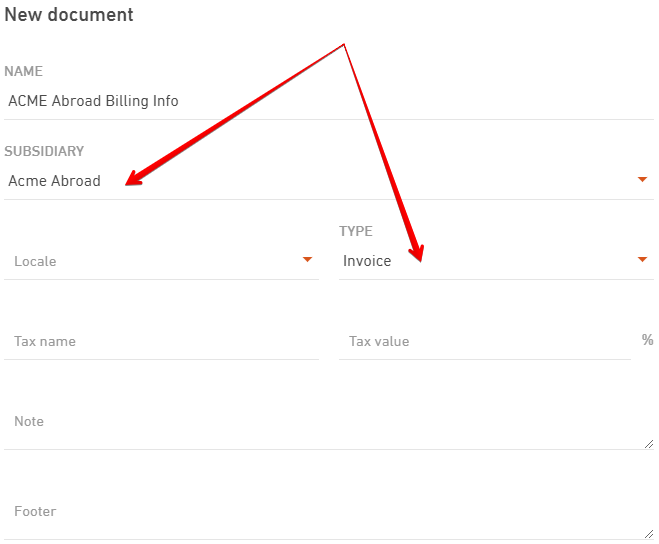 Now select the appropriate document type for the subsidiary you want to bill from and click Create a new invoice. 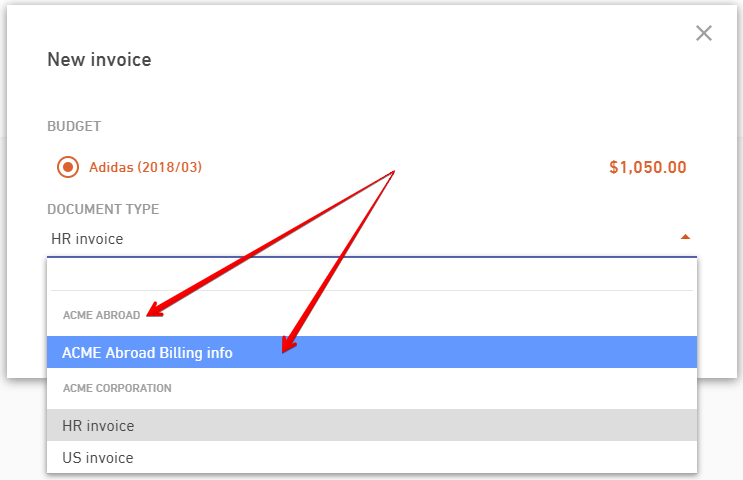 This billing data will now be included in your invoice.